← Will CMHC increase of average 15% in Insurance rates, really effect home buyers? The Greater Toronto Area is premier destination for many new immigrants and the population of this region is expected to grow to 4 Million people by 2030. Mississauga alone takes approx. 35,000 new immigrants every year. Also Region of Peel has the longest waiting list for social housing in Ontario, upwards of. nine years. To meet this annual growth in population and affordable housing needs, options like Second Units, also known as basement apartments or in-law suites have been identified as a way to provide healthy and safe housing choices to households, with affordability issues. With the average cost of a detached home in Mississauga now at $713,000 and increasing every year, second units are also a part of the City’s Affordable Housing Strategy and Action Plan. As well, second unit are also an excellent opportunity for home owners to realize extra income. 1. Permitted in single detached, semi-detached and townhouses. 2. Must comply with .Zoning By-Law regulations, Ontario Building Code, Ontario Fire Code and all applicable municipal by-laws. 3. Must have a separate entrance and a dedicated parking space and only 1 driveway. 4. Cannot occupy more than 50% of the gross floor area (GFA) of a dwelling and the minimum GFA must be 35 square meters. 5. Owners must carry $2 million in liability insurance. Failing to comply with above by-laws, there can be penalties as high as $25,000 for Owners & as high as $50,000 for Corporations, associated with properties found non compliant. There are other cities in GTA, which are also seriously working with their local residents for getting this law implemented. Like City of Brampton, currently have undertaken a Second Units Policy Review to establish a policy framework for permitting second units across the city. To support the policy review, extensive public consultation is undertaken to engage. Local residents need to understand that Municipal authorities can’t alone decide about implementing this law, more local residents should be attending these open house sessions, public workshops and a statutory public meeting, which will help in speeding up this process. 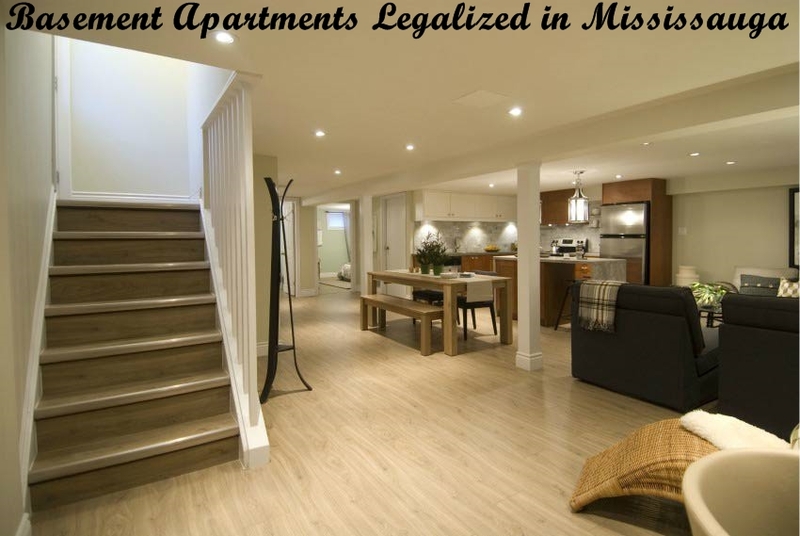 Aside | This entry was posted in Uncategorized and tagged basement apartment legalization in Brampton, basement apartment legalization in Mississauga, basement apartments, Brampton basement apartment homes, finished basement apartment homes for sale in bramtpon, finished basement apartment homes for sale in mississauga, Finished basement apartments, legal basement apartments, Mississauga basement apartment homes. Bookmark the permalink.